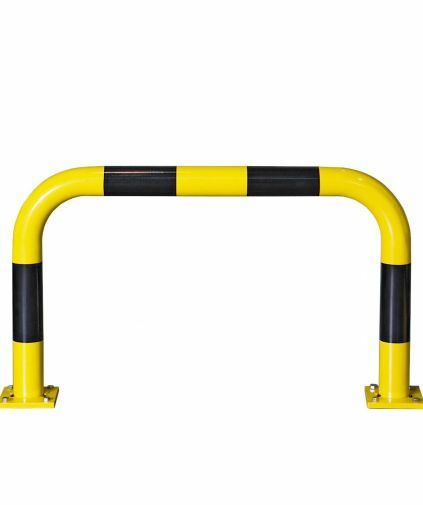 The basic function of pedestrian guardrail is to guide pedestrians to safe crossing points. However, a drawback of using conventional standard guardrail is that at certain approach angles, the ability for the motorist to see small children or animals approaching can be obscured causing a potential safety risk at crossing points. A similar problem is presented to drivers who are turning right at junctions. Ideal to protect the walkways or sensitive areas of buildings from accidental vehicle damage. 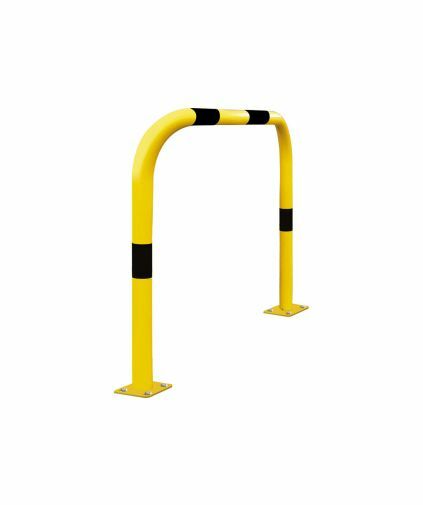 The Surface Mounted Safety Hoop Barrier is Surface Mounted for easy installation and Powder Coated in high visibility colours for added awareness. Use the Black Bull removable protection guards wherever access is required from time to time to plant and machinery. The guards eliminate time consuming operations in removing permanently fixed protection guards.